Did you know from the age of 21 we start to loose collagen. Even more alarming is that by the age of 40 the loss is typically 1% a year! Collagen is what gives the skin its volume and bounce, hence as we age we start seeing more fine lines and loss of elasticity in the skin. Normally we would try and slow down the ageing process doing facials, lasers and peels, which don’t get me wrong, does a lot to slow down the ageing process, but only to a certain extent. Now we have a new game changer in the industry. It goes by a couple of names; Dermapen, MicroNeedling, Medical Rolling, Collagen Induction Therapy and some more. In a nut shell, it’s a method where we use controlled micro injuries to stimulate the body’s innate wound healing process. This activates your Fibroblast cells to create more collagen and elastin which helps to improve the texture and tightness of the skin, or as I like to say- we Benjamin Button the skin. At the same time we are also forming puncture gateways in the skin for activated serums to fall into the deeper layers of the skin. We use different serums depending on what concerns we are targeting. Vitamin C serum is great for sun damage, Tranaxamic gel chips away at pigmentation, Copper helps with collagen production and switching off the inflammation in the skin, Hyaluronic gel is great for dehydration and fine lines, etc etc. Microneedling is fantastic for most skin conditions. Especially for skin tightening, enlarged pores or to improve acne or any type of scarring. 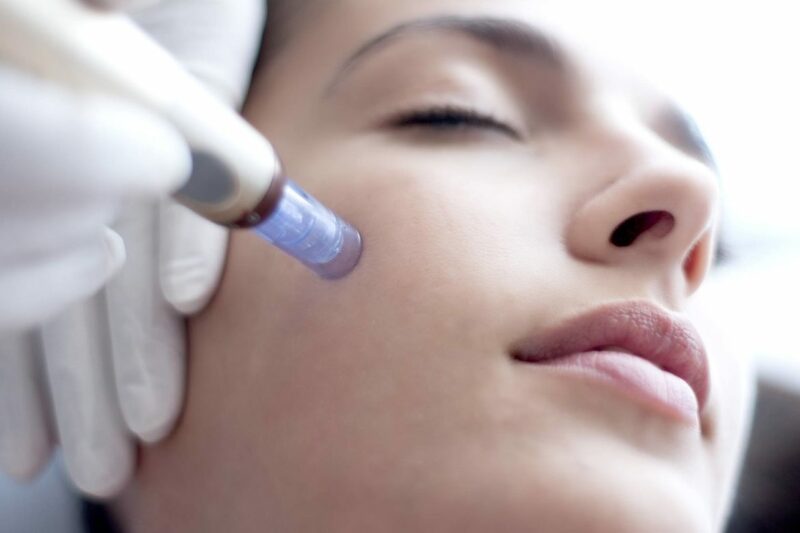 In my experience there is nothing that improves skin tightening, especially around the mouth and jawline area, aside from surgery and injectables, than microneedling. It’s not just for the face, every part of the body can be treated. It’s great on stretch marks, skin rejuvenation on hands, and even to tighten and improve elasticity on areas of the neck, breast, arms and knees and stomach after pregnancy. What happens during a Microneedling or Dermapen session? When you come in for your treatment we will do a full consultation to asses if Dermapen is the best type of treatment for your skin and which areas you would like us to focus on. We prepare the skin with cleansing and exfoliation and then commence with a numbing cream. The Dermapen session is without pain and actually relaxing, you won’t be feeling any needles on the skin, just a vibration moving over the face. We use a cocktail of serums tailor made for your skin and afterwards apply LED mask to increase your skins healing time. A barrier repair cream and sunscreen will then be applied. What to expect after a Dermapen session. After treatment your skin will feel and look like you have had too much sun. Skin will be red, hot and tight and we would like you to treat it as if you had a sunburn. It’s best to have a DVD night after treatment, but by the next day the skin will normally be fine. It might still be a little red, but with a BB cream, nobody will know. We recommend a course of 6 sessions for best result, but as with exercise, one is better than nothing. 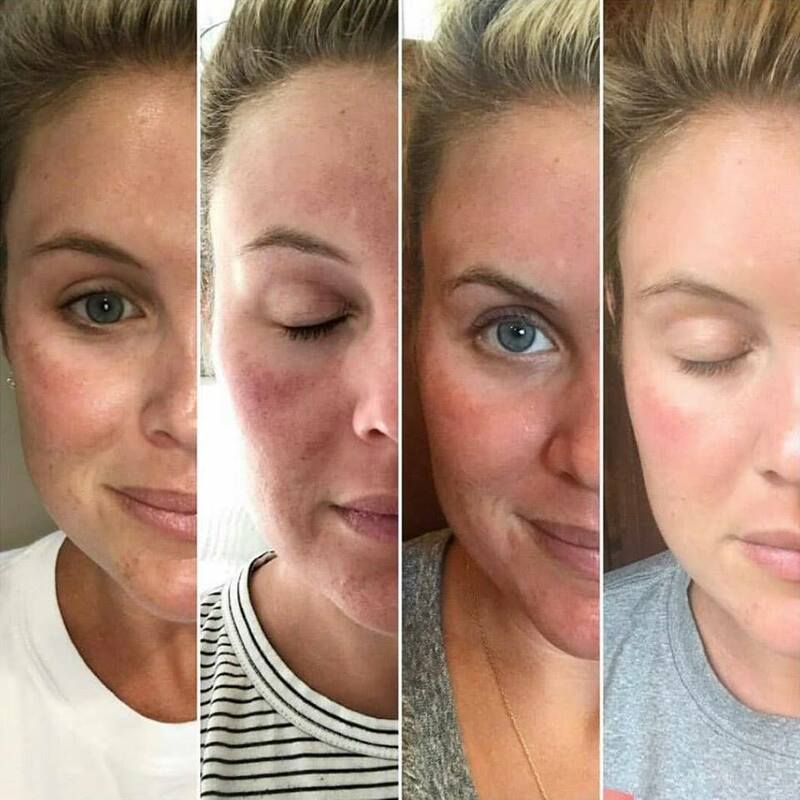 We find with most of our client when they see the results of Dermapen they just keep on going with the treatment instead of their regular monthly facials.